Below are four effects of divorce on children that I have experienced. There are probably many other effects of divorce on children, but I will be discussing the four that I have experienced: sadness, attitude, withdrawal, and temper. I will also provide solutions to solve these effects of divorce on children. 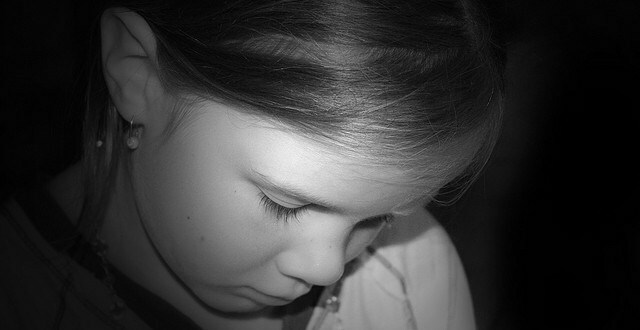 Sadness is one of the effects of divorce on children that I have experienced. I mean, how can it not be. Just think about how difficult it is that the two most important people in your life are splitting up. How is it even possible to not cry yourself to sleep every night. After a few years, the sadness will either get worse or get better. It is the job of the parents to make sure that the sadness gets replaced by happiness. To be honest this is one of the easiest of the effects to fix. All you have to do is to show your child more times of happiness than sadness. It’s that simple. The more happy times your child has, the less time he/she has to think about sadness. It is time to buck up Mr. or Ms. parent, take charge and show your child what happiness is! A child’s attitude is the second effect of divorce on children I am writing about. The children’s attitudes will change because the divorced parents attitudes change, plus if they gain a step parent, the step parent will also have an effect on the children. It is up to you, the parent, to change the child’s attitude. Lead by example is what I was always told. A bad attitude is a characteristic that can be changed very easily by leading by example. You cannot fake attitude and you cannot pretend to be positive, because body language speaks louder than words. First you must change your attitude to a positive attitude and then your children will follow your lead and do the same. A positive attitude is essential to succeeding in life, so please, start today if you haven’t already and BE POSITIVE! Here is the third effects of divorce on children, and one that is not as common as the others, but just as important to change immediately. The kids your child plays with is a factor. If all the child’s friends parents are not divorced, your child will withdraw him or herself because he/she will not think the friend understands his/her situation. I honestly believe this is another situation where a child counselor/therapist/coach would help, but is not necessary. There are some good books that you can read that will help but essentially someone will need to talk to your child and determine the cause of the withdrawal and then talk through how not being withdrawn is better than being withdrawn. Temper is the last of the effects of divorce on children that I will be writing about. Temper, in general, is usually caused by bottling up issues that are negatively effecting us. Just think out it, if dad does something that a child doesn’t agree with, it will be difficult for that child to talk to mom about this issue. Especially if mom and dad are not getting along. Can you see a problem here? A child trusts mom and dad, but after mom and dad the trust level drops off considerably. The end result is the child will decide to not talk to anyone. The longer a child holds in these feeling, the more frustrated he/she will feel, and after being frustrated all the time it will lead to a temper. Of all the effects of divorce on children, this is the one that can be long lasting if not put in check. The best solutions for temper is to talk to others. Here are my suggested options for talking to others in order: a counselor or therapist, a school counselor or a “kids in the middle” group. Unfortunately a lot of parents do not believe in having their kids talk to others because they feel they are admitting their kid has problems. They do if they have a temper, and they need someone to talk to where they can talk openly about anything and everything. I hope my suggestions and insights help you. Even though there are many negative effects of divorce on children, they can be changed to positive with a little hard work and understanding that and all starts with you, the parent. Be positive, understand if your child needs additional help, and keep smiling.